Forget global warming. 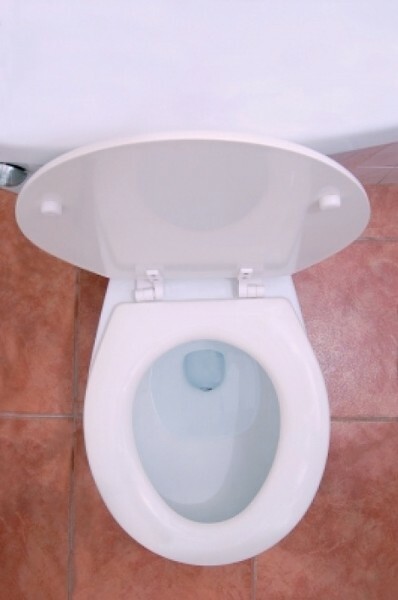 Brigham Young University physicists recently have come up with suggestions on how to avoid a problem that has plagued the human race for far too long: urine splash-back. --- In an actual study, by actual physicists (who call themselves "whiz-kids"), extensive testing has been done to determine the methods by which pee-ers, specifically men, can achieve the least possible splash-back when making trips to the bathroom. You are probably thinking that you remember some kid doing this as their sixth-grade science-fair project, and you’re probably right. But these guys are doing real-life science, people—studies to ensure that you have the best peeing experience possible. This important pee science was done in the BYU Splash Lab and was accomplished by setting up high-speed cameras that filmed a stream of colored water going into a tank filled with water, essentially simulating natural urine flow. They also had a tank that simulated peeing while sitting on a toilet rather than standing at a urinal. Using different techniques, they determined which led to the least amount of splash-back. Physicist professor Tadd Truscott said in a BBC News article that the splash-back effect is a real problem and that it leads to a breeding ground for bacteria. He said splashing is a problem because of the Plateau-Rayleigh instability, where a stream of liquid will break up into droplets. Truscott, along with physicist Randy Hurd, found that sitting on a toilet was the best option. Those who prefer urinals should stand close to the urinal and aim for the back at a downward angle to reduce the amount of splash-back. Researchers also found that something as simple as the cleaner used on the urinal can make splash-back worse. So, find a dirty urinal, get nice and close to it and enjoy your splash-free pants.